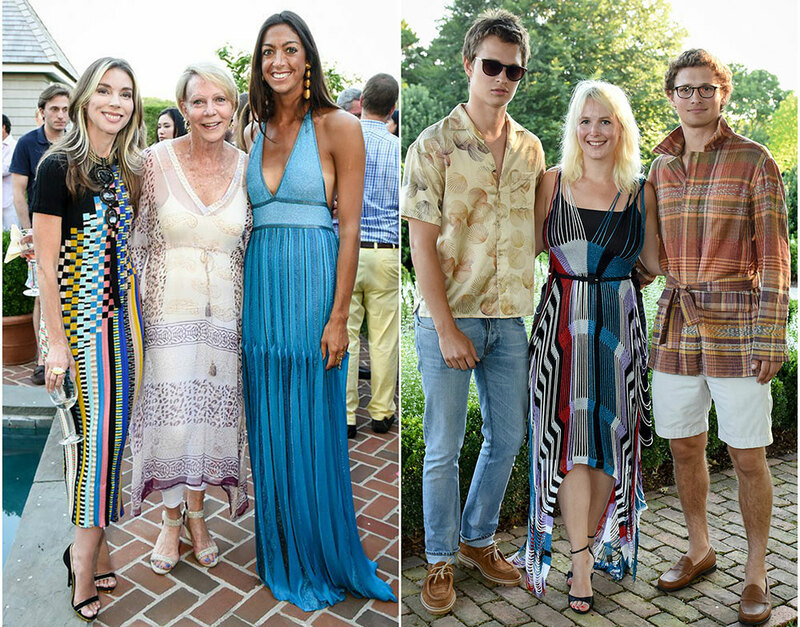 On Saturday, July 23rd, Armarium, a premier destination for luxury fashion and accessories on loan, celebrated the launch of Missoni Pre-Fall 2016 and kicked off a 10 day pop-up at Baron’s Cove in Sag Harbor. Visitors to the pop-up shop had the chance to rent the latest look from Missoni as well as vintage pieces and swim accessories from Missoni Mare. Left: Alexandra Lind Rose/Cathie Black/Trisha Gregory. Right: Ansel, Sophie, and Warren Elgort. 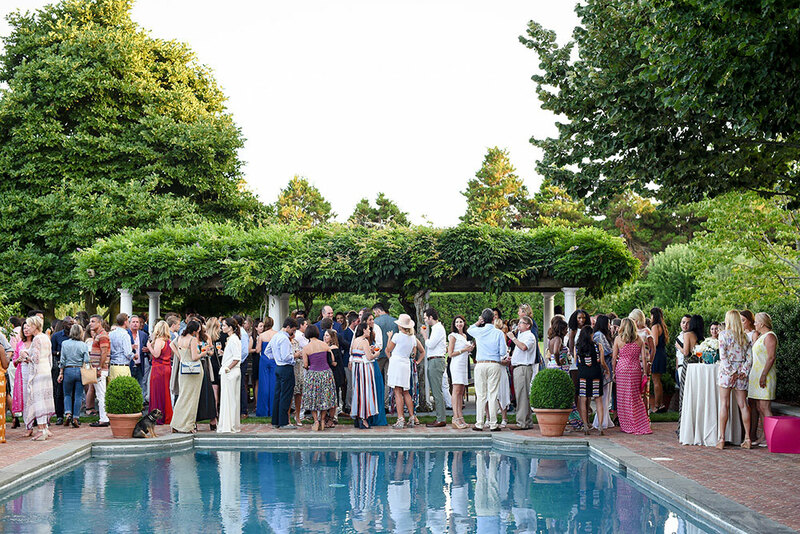 Hosted by Armarium co-founders, Alexandra Lind Rose and Trisha Gregory, at the house of Marigay McKee in Southampton, the event was attended by special guest, Ottavio Missoni Jr (who flew in from Milan) as well as Ansel Elgort, Arthur Elgort, Alina Cho, Andrew Warren, Annelise Peterson Winter, Candice Miller, Caroline Rush, Cathie Black, Dayssi Olarte de Kanavos, Eleanor Lambert, Fiona Drunkenmiller, Gigi Grimstad, Gretchen Gunlocke Fenton, Jenna Crespi, June Ambrose, Helen Lee Schifter, Jennifer Creel, Kimberly Guilfoyle, Laura de Gunzburg, Maria Papathanasiou, Reya Benitez, Sophie Auster, Sophie Elgort, Susan Shin, Tatiana & Campion Platt, Violetta Komyshan, and Warren Elgort. Alessandra Brawn and Maria Papathanasiou photographed by Sophie Elgort for the Armarium x Missoni campaign. As well as being a Manhattan showroom, Armarium is also mobile app whose members can rent a curated selection of current ready-to-wear and accessories from top designers. Items from Missoni Pre-Fall 2016 have are currently featured in an Armarium campaign shot by Sophie Elgort and starring Alessandra Brawn and Maria Papathanasiou. Check out the campaign and then head over to the Armarium app or showroom to get the latest Missoni looks. NEW YORK FASHION WEEK SS17 - GET THE SCHEDULE!